In support of their unique work to both safeguard and celebrate American wood type, Hoefler&Co is proud to announce the donation of a $10,000 Sustainability Grant to the Hamilton Wood Type and Printing Museum of Two Rivers, Wisconsin. 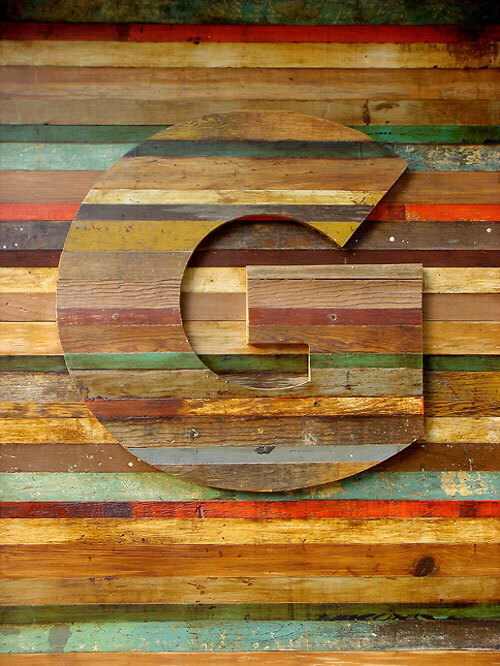 Wood type is a vital part of our visual culture. Its riot of technological and typographic innovations remains as relevant as ever to modern typographic practice: whether your favorite font comes in multiple widths, or features chromatic layers, it owes a considerable debt to its wood type forebears. H&Co has always believed that the preservation and study of historical typography serves even the most progressive experiments, so we’re proud to support Hamilton, not only in its curatorial mission, but for the relevant and exciting programming it provides to both the community in Two Rivers, and the design community at large. It is 1953, and you are a graduate student at the Yale University School of Art. Alvin Eisenman has just established a new discipline called “graphic arts,” in which you are studying — under the legendary Josef Albers, Herbert Matter, and Alvin Lustig — a new approach to design, which will come to be known as Modernism. Five years from now, the world will witness the birth of Helvetica and Univers, typographic milestones that will forever affirm the ascendancy of the Swiss International Style. It is amidst this visual culture, with its disciplined sans serifs, rationalized grid systems, and asymmetric layouts, that you discover your deep love of typography. 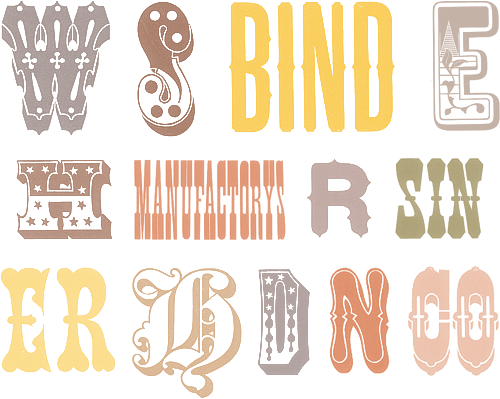 So you dedicate yourself to the study of its most unfashionable, shadowy, and anarchic tributary: nineteenth century American wood type. You are Rob Roy Kelly. Today, Kelly’s name is synonymous with American Wood Type: 1828-1900, his 1969 opus that remains the standard desk reference on the subject. Forty years ago, the manuscript was the result of a long and difficult search for answers. After leaving Yale, Kelly went to the Minneapolis School of Art to establish a graphic design department, and his attempt to procure a collection of material for the school press revealed at once how moribund wood type had become, and how neglected it remained as an area of study. Beginning with a collection of ephemeral type specimen books, and ultimately growing to include several hundred full fonts of type, what quickly became “The Kelly Collection” served as a working library for Kelly’s own research. Between 1966 and 1993, the collection passed through the hands of several individuals and institutions, finally finding a home at the University of Texas at Austin. During this time, Van Nostrand Reinhold’s publication of American Wood Type went out of print; Da Capo Press introduced a paperback version, which also went out of print; what designers and scholars have been left with is the diluted and incomplete 100 Wood Type Alphabets produced by Dover Editions in 1977. 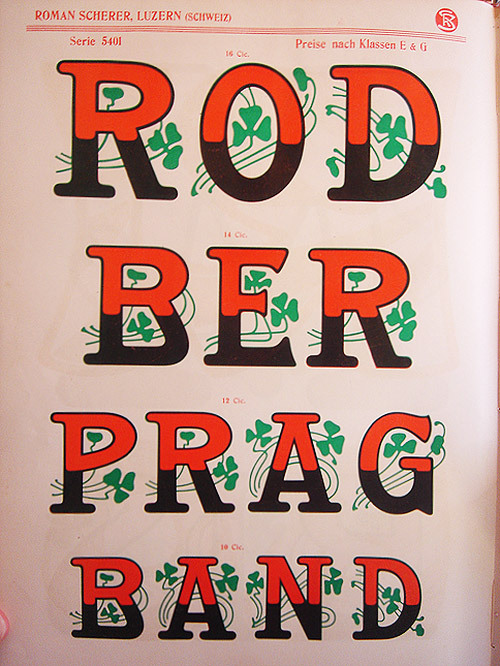 Happily, the University of Texas has adapted the original work for the web: The Rob Roy Kelly American Wood Type Collection is now available online, featuring much of Kelly’s scholarship, and many of the illustrations from the original work. The Hamilton Manufacturing Co. traces its roots back to the very first wood types made in the United States. 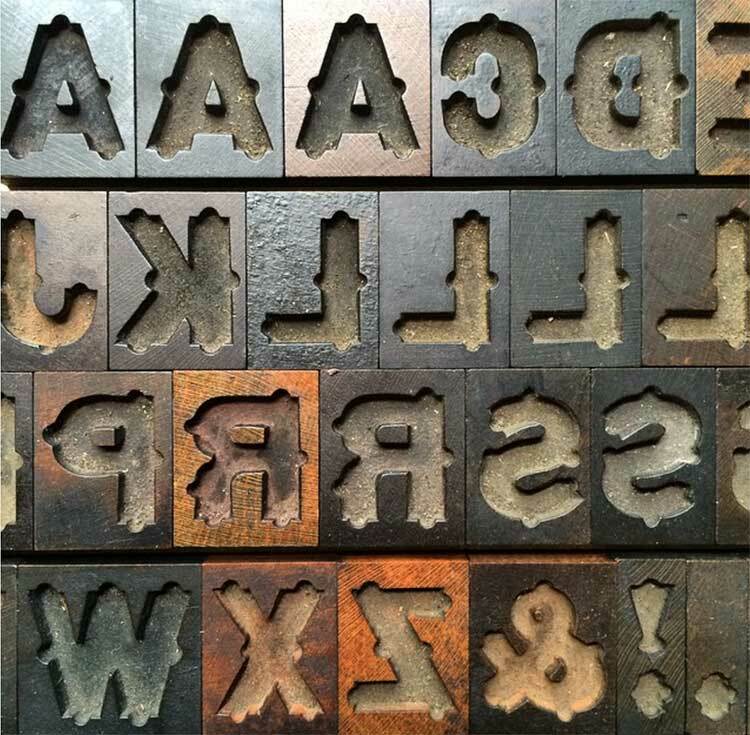 Darius Wells produced the first American wood type in 1828; his business was reorganized into Wells & Webb, then acquired by William Page, later passing back to the Wells family, and finally sold to Hamilton sometime before 1880. The product of this consolidation was a type specimen book issued in 1900, Hamilton’s Catalogue No. 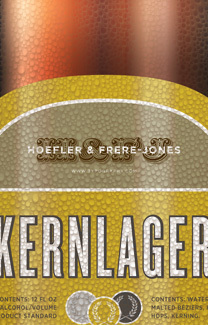 14, which offers a good survey of American display typography of the nineteenth century. Open to the public is the Hamilton Wood Type Printing Museum in Two Rivers, Wisconsin, a collection of 1.5 million pieces of wood type maintained by volunteers of the Two Rivers Historical Society. For at-home viewing, the calendar printer Unicorn Graphics has just launched their Web Museum of Wood Types and Ornaments, which offers a sundry collection of scans and photographs of American wood types — including every page of the great Catalogue No. 14. 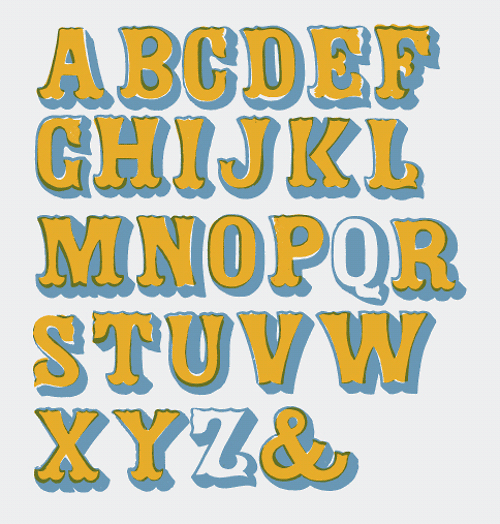 The disappearance of wood type has something to do with the slow fade of letterpress from the world of commercial printing; it also has something to do with that dude at the flea market who sells hot-glued wood type sculptures on the weekends. And the Dust Bowl didn’t help: seventy years ago, Americans throughout the Great Plains discovered that blocks of hardwood impregnated with linseed oil could be very useful in a whole new way, so into the furnace they went. Type Night at Delta House! 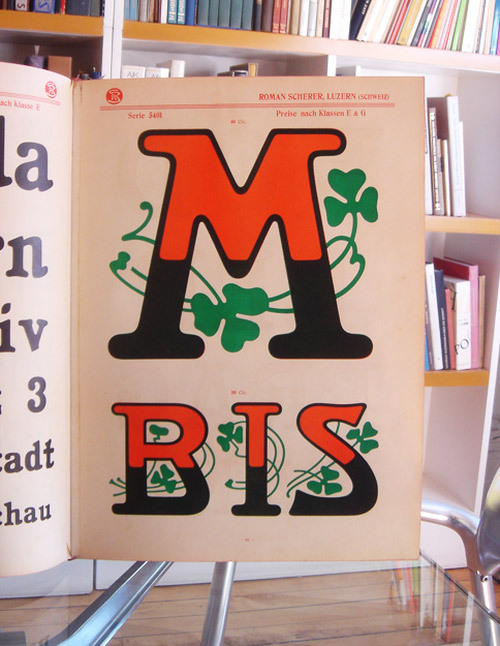 Three of my favorite things are big type, chromatic type, and type specimen books, and St. Patrick’s Day offers the perfect occasion to bring all three interests to the table, literally. Parked here at our conference table is the 1904 type specimen of the Roman Scherer company, a wood type manufacturer in Luzern who specialized in two-color type. This page shows the shamrocked “Serie 5401” in the gargantuan size of 40 ciceros — that’s a cap height of almost seven inches (173 mm) — which cleverly gives the illusion of a third color by overprinting red and green to produce a perfect black. 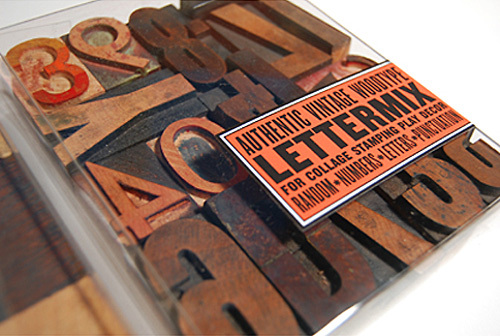 Since the countdown to the holidays has begun in earnest, we thought we’d dedicate the rest of the week to recommending typographic-themed holiday gifts for the designers in your life.